Idealic special and peacefull getaway for one to 4 couples or the family. 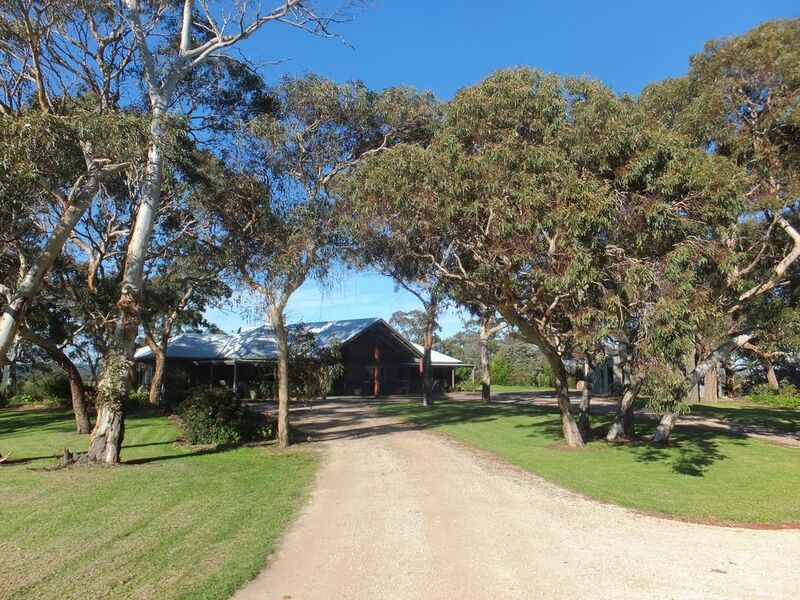 A luxurious country retreat with stunning views over the Adelaide HIlls and beyond and only 10 minutes from famous restaurants and wineries of McLaren Vale Situated on a 100 acre farm, the retreat is an ideal romantic getaway for two or that special weekend away with 3 -4 couples or the family. The retreat features 3 queen bedrooms plus a comfortable double sofa bed in a separate lounge with beautiful views. The bathrooms are located next to the bedrooms at each end of the house. Two bedrooms are in a separate airconditioned wing with a smaller lounge and laundry area. The third bedroom has its own bathroom in another wing. The spaceous open plan living area features an open log fire, piano, spa bath, slow combustion heating, smart TV offering netflix, Bose sound system and a fully equip kitchen. Revel in the bucolic, peaceful surrounds and experience the country magic. Breakfast is included. SORRY - STRICTLY NO PARTIES or gathering involving people other than the paid guests. I am a retired winemaker and have lived in the region for 30 years. I particularly delight in sharing this very special part of the world with city guests - it is a cathartic experience and a wonderful place to get away from it all. The property boasts panoramic views over the Adelaide Hills and has scenery to die for. You will go home revived and revitalised! Open log fire. spa bath, slow combustion heating, spaceous luxurious living area with raked ceilings and well equip kitchen, stunning views from every window. A Bathroom with a spa and a view. ... and you will love the rainwater! Wonderful property and a lovely host. Highly recommend this accomodation! Thanks Sally - so glad you loved it! What an amazing place! WOW! As soon as we drove up the driveway, we knew this place was going to be special and special it was. We stayed for 2 nights and could have stayed longer. It was so beautiful and peaceful and relaxing. The views were amazing, we spent so much time just sitting and enjoying the views and tranquility of this wonderful retreat. It had everything, you could not have asked for more. I would recommend this gorgeous place 100%. A great stay that was simply perfect. Really enjoyed our stay at Kenwood Bank. A lot of thought has gone into the small details that make a stay comfortable - spare toiletries, the breakfast supplies, fresh flowers in the rooms to welcome us. Very comfortable beds and a fabulous bathroom. A lovely rural setting to retreat to at the end of each day. Thoroughly enjoyed our stay. Very comfortable and a great setting. We loved it.